The Sting Ray Hybrid is the absolute lightest paddle at this price point! Lighten your day, not your standards with the Aqua-Bound Sting Ray Hybrid 2-Piece Kayak Paddle. Think of this paddle as a fiberglass-reinforced version of Aqua-Bound's carbon touring paddles. The Sting Ray is great for day trips, aggressive surf kayaking and anything in between. 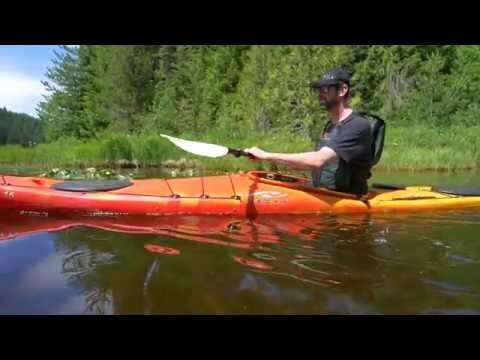 The blade is a tough fiberglass reinforced abXII resin, 22% stronger that previous models, suitable for all types of kayaking from entry level right through long-distance touring. The shaft is 100 percent carbon, not a watered-downed mixture, providing the lightest weight possible. The Sting Ray comes with a two-hole snap button ferrule system with 60-degree RHC and 0-degree feathered positions. This paddle, with a more slender, yet durable blade, is ideal for those wishing to extend their trips a little longer.